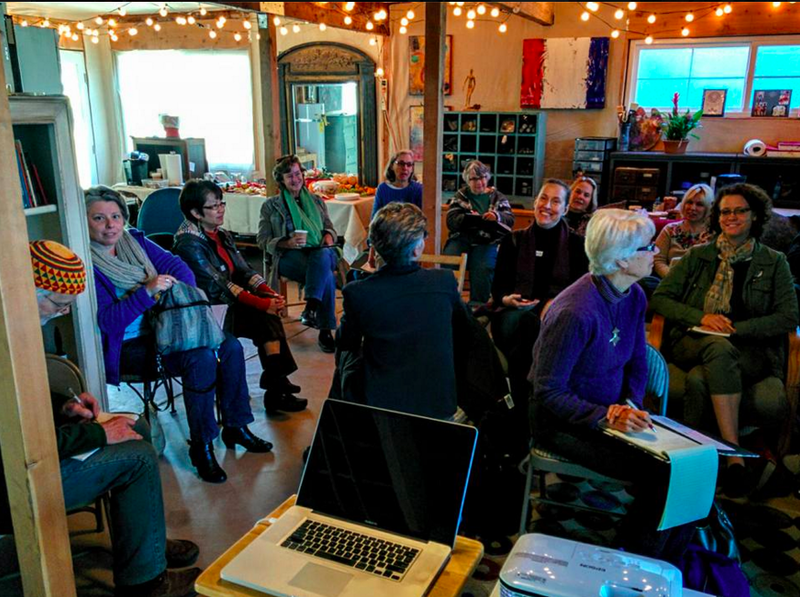 It's a good time to renew/join National WCA ( in the Peninsula and/or Northern California WCA, learn, and network with other stellar artists. After 27 years, this Chapter closed in January 2017. You can see some of the very interesting projects and events we hosted over the years on this page, Where We've Been Highlights or go to http://feministartproject.rutgers.edu for a deeper on-line record of this and more, all the way back to 1992. You can still communicate with us by using our Facebook page, https://www.facebook.com/groups/sbawca/ to arrange or go to art circles events. 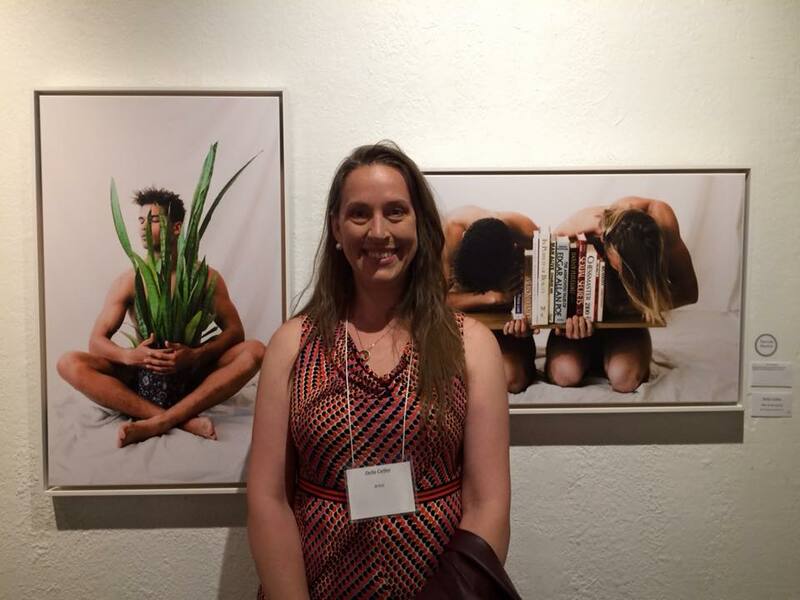 ​NOTE TO PAST CHAPTER MEMBERS: Download professional photographs of the last exhibit and you standing near your art. They are posted for your collection and our chapter archives. The link to the photography site should be in your email from siliconvalley.wca@gmail.com. The link is to our siliconvalley.wca Google drive. Contact Susan Kraft if you need the link resent. Please use a return address without a spam blocker, or send me a text at 6504441354. We just returned from the 2016 fabulous conference, Lifetime Achievement Awards, and Impact! exhibition in Washington, DC. The images to the right are from the Chapter's Council, a presentation, and from our annual Lifetime Achievement Awards held at the National Museum for Women in the Arts. A tailored GYST workshop presented by founder Karen Atkinson, was powerful and impressive. Everyone who attended got much more than anticipated. More about the workshop and after party. Our core functions and benefits for our members. This is our focus as a group. Support: Sharing artwork via smaller activities on a regular basis, consistent calendar such as Critiques, Art Circles, and Studio Tours. 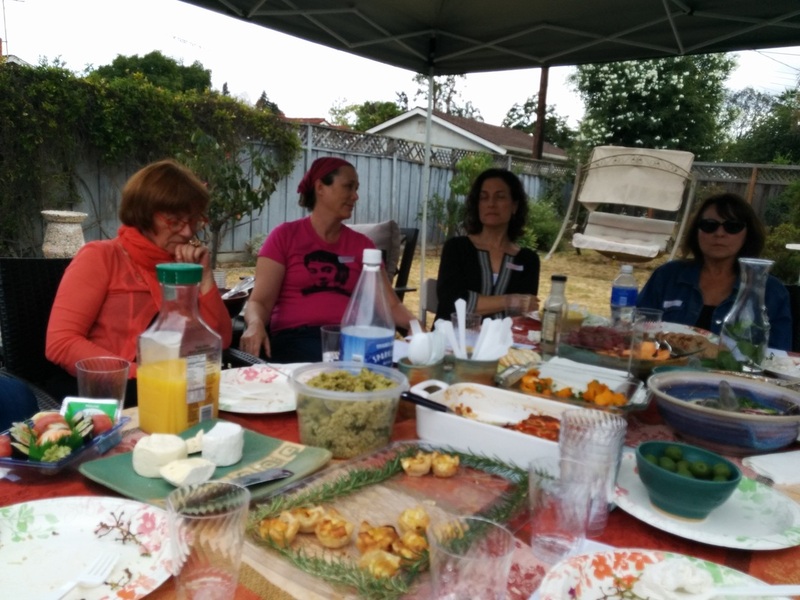 Meeting Minutes for October 17, 2015, 1:00-3:30pm​ at Rachel Tirosh's home in Sunnyvale. At the 2015 Board Fall BBQ meeting, we discussed alternative directions of the upcoming year - to form a new executive board or not. Anne Giancola was unanimously voted in President Elect. 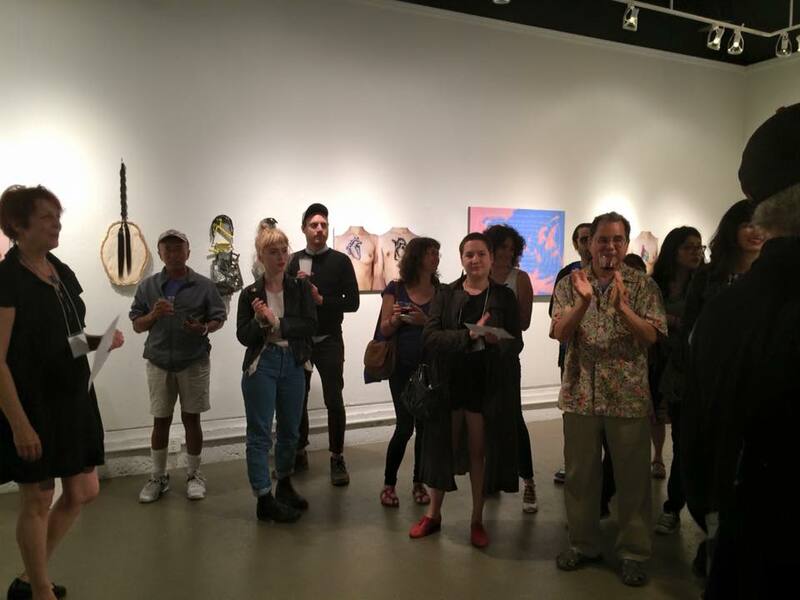 Either way it goes, we all agreed to make big strides and use our funds to create enticing art events in 2016, in addition to our 2-month summer exhibition, "Intentions", in San Jose. 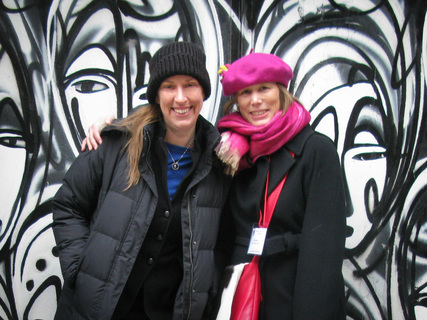 ○ SWAN (Support Women Artists Now) Day– a February 2015 exhibition in Livermore. 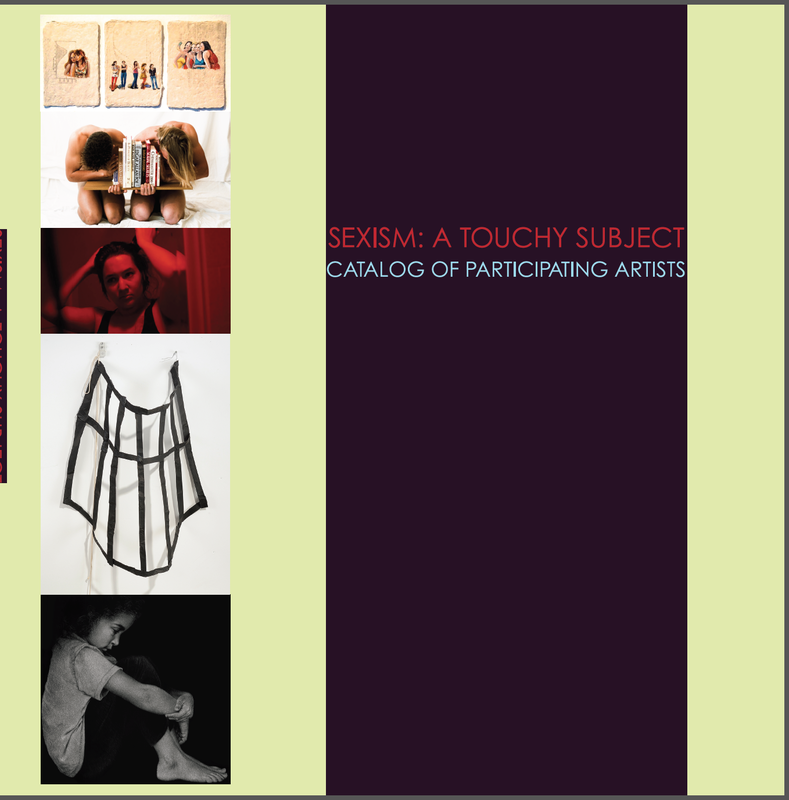 ○ Our annual members show Sexism: A Touchy Subject– a July 2015exhibition in San Francisco, was documented by a catalog with ISBN number 978-0-9965964-0-4. ● www.sbawca.org now points to www.svwca.org until 2017, then sbawca.org closes. ● Two gallery exhibitions are posted on our Exhibition page. ○ SWAN (Support Women Artists Now) Day– a March-April exhibition in Livermore, called "Too Much Information" . A $25/$35 entry fee. ● Request member to represent our chapter at the Washington, DC National WCA Conference. ● New Executive members meet with past President and past-Treasurer or execute exit plan. Eat. Drink. Share art stories. Our Members show at the fabulous Martin Luther King Jr. Library The Jennifer & Philip DiNapoli Gallery​ in San Jose is scheduled. Mark you calendar for the month of June. The show is hung onJune 5th and runs through the end of July. July 25th closing reception for Sexism: A Touchy Subject, was bitter-sweet, - it was wonderful for all the gallery artists to see each other one more time, but sad to see the installation break apart. Jill Andre', SVWCA's Hospitality Chair brought a moveable feast in for us. As we talked and viewed our exhibition one last time, Jane Peterman, SVWCA's Treasurer and de facto Exhibition Shipping and Receiving worked steadily to wrap and pack pieces into their original boxes. At this event, we unveiled our catalog. Everyone present bought one or two copies. The catalog is gorgeous, with the fabulous cover designed by SVWCA Vice President, Della Calfee and layout designed and edited by Jane Peterman. ﻿Click here to see the exhibition as the catalog on-line ﻿or buy the catalog. Click here to buy and ship a 2015 catalog. 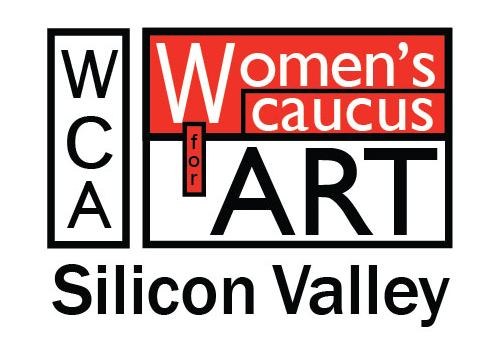 Della Calfee, Silicon Valley Women's Caucus for Art Vice President, received an Honorable Mention from Catharine Clark, or juror. The opening went off with a smashing success. 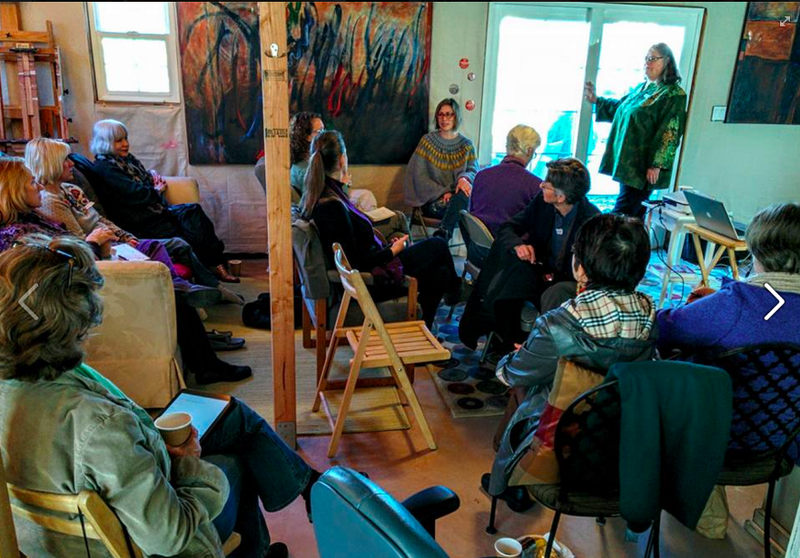 Below is a photo of Silicon Valley Women's Caucus for Art President, Susan Kraft (left), naming the awardees at Arc Galllery. See many, many more photos on our Facebook page. Our closing is on Saturday, July 25, 11 AM - 1 PM at 1246 Folsom Street, San Francisco, CA 94103. Use the online application on the National WCA website. Northern California code is NCAL. 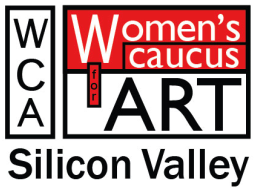 Silicon Valley Women's Caucus for Art board members, Della Calfee and Jill Andre' at Women's Caucus of Art National 2015 Conference. Della Calfee our Vice President and Jill Andre our Hospitality Chair attended the 2012 Women’s Caucus for Art National Conference in Manhattan on behalf of Silicon Valley Women's Caucus for Art. What follows, is a personal account by Della, on her trip. "I took my first trip ever to Manhattan, during a snowstorm no less, to attend this year’s national Women’s Caucus for Art conference at the Hilton on Times Square. I traveled with our chapter Hospitality Chair Jill Andre, a six year conference veteran, who showed me the ropes and booked the most magnificent view for our hotel room. After five days I was still taking it all in. In 2014 we changed our web domain name to SVWCA.org, because we are changed our chapter name from South Bay Area to Silicon Valley. Our first SWAN Day show is arranged and promoted by SWAN Day Liaison, Anne Giancola at the Livermore,CA Bankhead Theater Gallery. By having a special gmail account, we also get a special Google drive to store all our documents. We've entered into a contract with Arc- San Francisco gallery for a summer 2015 show. This is a mixed invitational and open national call to all self-identified women on issues surrounding Sexism and a Proactive Future. 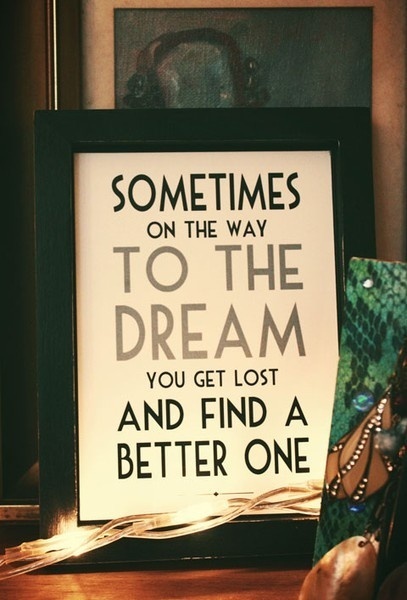 - 2015 details to follow, in our VolunteerSpot page. - Watch for the next quarterly newsletter in 2015 for more details, or check back here on our webpages, or on our Facebook page. We have a desktop-sharing tool called Cisco WebEx. It makes on-line meetings really easy! You can share desktops and control along with multiple phone lines using WebEx.